Just weeks after the Australian Taxation Office declared bitcoin is ‘not money’, a local start-up is launching an EFTPOS debit card for the crypo-currency. 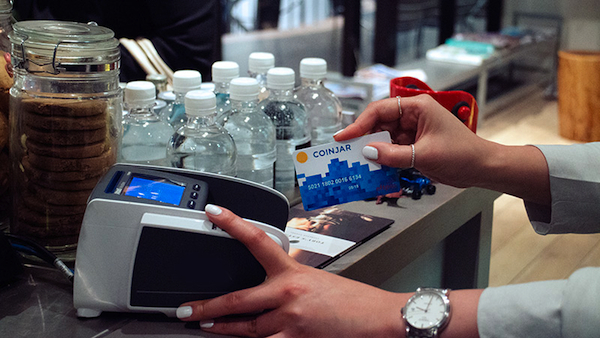 The CoinJar Swipe card will allow Australia’s 500,000 Bitcoin owners to shop in stores, cafes and supermarkets. 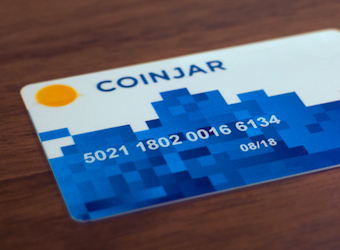 The CoinJar Swipe card is currently on trial with 100 customers who responded on social media to the question, “What would you do with your CoinJar Swipe?”. Answers ranged from, “Pay by bitcoin business bills” to “Buy a sausage roll, sauce and an iced coffee for lunch”. Trial customers can use their cards at ATMs and retail outlets to convert their bitcoins into Australian dollars. CoinJar, based in Melbourne and backed by AngelCube and Blackbird Ventures, already has 30,000 individual and business customers. The company has processed more than $50 million worth of bitcoin transactions in the past 12 months. The company says it believes bitcoin is “a democratising force in finance” that can suit a wide range of people. CoinJar co-founder and CEO, Asher Tan, described the Swipe card as a way to “demystify” bitcoin. “We created Swipe because we simply wanted to make it easier for our customers to spend their bitcoin.